This article is from Matthew Blair, owner and author of Cambrian Comics. Please give him a warm welcome. It’s widely known that Game of Thrones has drawn quite a bit of inspiration and thematic material from history, current and ancient politics, and culture. However, the show’s reverence for the past also extends to more abstract themes like philosophy and world outlook, which is what we are going to be looking at today. One of the most prevalent and widely discussed themes in Medieval philosophy was the Rota Fortunae, or Wheel of Fortune. Besides sharing a name with the game show, the Wheel was a key part of Medieval life and worldview, showing how Fortune can spin the wheel of fate that all men are attached to. One minute a man can be riding high and happy at the top of the wheel whereas the next minute he is cast down into despair. In between he is either working to rise to the top or being cast down after losing favor. The idea wasn’t especially new in the Medieval Ages. Like a large portion of medieval learning, the Wheel of Fortune took its inspiration from the Romans. One of the first philosophers to put this idea into words was the late Roman philosopher Boethius. Boethius lived during a time when Rome was still an Empire, just not an Empire the Romans ruled. After a long and successful career in Theodoric the Great’s court, Boetius was accused of treason and thrown into prison. During this time he wrote the hugely influential Consolation of Philosophy in which he describes the gifts of Fortune in this way. The Roman idea of Fortune’s Wheel may come from astrology and the notion that the planets travel in a circular fashion. The Babylonians originally came up with the concept of Celestial spheres and Ancient Greeks expanded upon it. No matter what the time, place, or genre the overall theme remains the same. Fortune is cruel and can raise men up by turning the wheels of fortune in their favor and cast them down just as quickly. In the beginning of his Season 2 story arc, Stannis starts at the bottom of the wheel, a lord with little besides the company of the Red Priestess Melisandre. He has no claim to the Iron Throne other than his relation to the now deceased Robert, no land holdings of any importance to speak of. Stannis has to compete for the throne with his more charismatic younger brother Renly which rankles Stannis’ sense of order and morality. By law and custom (primogeniture), Stannis is next in line. Renly Baratheon, the charismatic younger brother. (c) HBO. 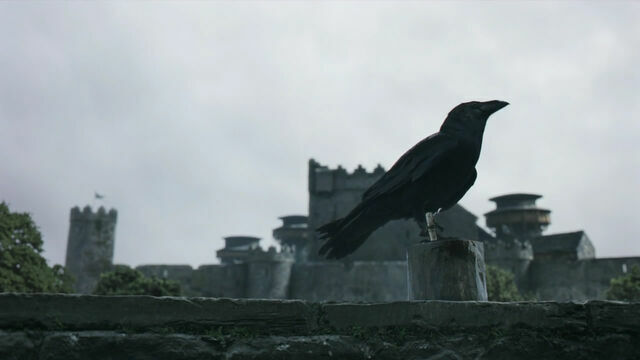 Once Melisandre conjures a shadow assassin who dispatches Renly, the entire Baratheon army flocks to Stannis’ side allowing the wheels of fortune to rotate towards the top for him. Nonetheless, at the Battle of Blackwater Bay, the Lannister/Tyrell forces route Stannis. Melisandre gives birth to the Shadow assassin that took Renly’s life. (c) HBO. Defeated and bereft of most of his allies, Fortune has once again flung Stannis to the bottom of the Wheel faster than any character in the show. With a little luck and a lot of help from his trusty friend Davos, Stannis wins the Iron Bank’s support. Fresh funds allow him to assemble another army, which he intends to use to conquer the North and assume his rightful place as the Seven Kingdom’s true ruler. Now the wheels of fate are lifting Stannis up from the bottom yet again and how far he will go this time depends on Lady Fortune’s whims, or maybe just his own skill as a ruler and leader. Clearly, Stannis is not the only character to suffer or benefit from the Wheel of Fortune but his story is one of the best examples of how Fortune turns for each character. So while you are watching Tyrion wander in Essos or Baelysh gather his own forces in the North remember how any character can rise to the top of the Wheel, or be crushed on their way down. Not that I’ve ever been to such a place but I’ve tended to think of the wheel of fortune in the modern terms of a casino but of course you are quite right in what you say in this article about Boethius et al. The same idea is present in the board game of “Snakes and Ladders” – nine times out of ten I would have to slide down more snakes than I went up ladders (show Littlefinger says “chaos is a ladder” in season 3 – I don’t know if that idea came from the game of “Snakes and Ladders”. Looking at things rationally I suppose the law of averages dictates that people have good times and bad times, so to a person back in the dark/middle ages trying to explain the unfairness and uncertainty of life a “wheel of fortune” might seem logical. If Stannis lets anything happen to Shireen I shall wish him all the bad luck in the world, though I am more concerned as to what might happen if he gets separated from Melisandre and his nutty wife. I don’t think Selyse would have any scruples about handing over her daughter. Unless the fact that Shireen has greyscale has some part to play in her fate though I suspect I am getting off topic here. “The wheel” also made me think of the wheel as an instrument of torture/execution in the middle ages (and earlier, viz, St Katherine of Alexandria). I always thought people were run over on the wheel but I think they may have been tied to it and had limbs broken etc. I also thought about soldiers getting “field punishment” in the First World War (i.e. being tied to the big guns) though that is a later period of history than seems likely to have inspired GoT. Oh Snakes and Ladders…a simple game with such a long and complicated history. Long story short, if my memory serves me correctly, you’re right about the game being similar to the Wheel of Fortune. As for your other points I agree, Stannis deserves all sorts of bad things to happen if he lets something happen to Shireen although from what I’ve seen he won’t do it on purpose. But will she do so in time to save Shireen, GH? I hope I am wrong about the “foreshadowing” in that sense. I dislike being proven wrong as much as the next person but in that instance I wouldn’t mind having loads of egg on my face if I had interpreted things wrongly. While I am here, while thinking of the ups and downs of fortune, Varys’ statement in series 2 (I can’t remember whether book Varys says it as well but I THINK he does) about the bigger fish eating the little fish but he just keeps on going comes to mind (I’ve paraphrased – not very well there). Many years ago I did some studying of French literature and was discussing the work – I think – of Honore de Balzac. It’s so long ago and I can’t even remember the name of the character or the book but one of my fellow students mentioned the character in question being like a gyroscope; that he kept steady like a gyroscope (though gyroscopes were invented later – I think – than medieval times [or will somebody tell me I am at fault there]). I think of Varys as being a bit like that. (Though of course this is a Stannis thread). Well of now to google “gyroscope”. Frankly, Daenarys doesn’t necessarily have the best comprehension of the social and political situation in Westeros. For all the talk by the High Sparrow about exploitation*, and it does exist in this, there’s also a real commitment to some kind of social contract in a number of places and I’m not really sure what she would actually do. The situation isn’t one of actual slavery as exists in Essos. Heck, it was selling criminals into slavery that forced Jorah to run from Westeros. *I especially found his threats of an uprising to Olenna laughable because she’s a Tyrell from Highgarden. The peasants who live there shouldn’t have felt remotely the same impact of the war that the people at King’s Landing and Riverlands do. A religious zealot who’s just imprisoned their queen and leading knight will get, at best, an apathetic shrug from them if he talks to them about rising up. Considering that he’s already locked up her grandchildren (on very dubious evidence that could be ripped apart in seconds of cross-examination) he really has nothing left to threaten her with in King’s Landing beyond executing Loras and Margaery, and if he does that he doesn’t just sign his own death warrant, he writes out the entire order in triplicate. So my interpretation was that he was threatening peasant revolt in Highgarden, and that the writers were just reminding us that after breaking away from Martin’s text they weren’t really that good at political writing* because I cannot believe that a region that’s not only been untouched by the war but has actually expanded in power would have much interest in religious revolution for a man who’s just locked up their queen. *As you might guess, the entire Faith plot has left me looking down on the show. Do you think the Tyrells could get to (assassinate) the High Septon if he executed Margaery and Loras though? Tommen couldn’t even get up the steps to the Great Sept — granted he probably could have if he had ordered his guards to attack the Faith. I have no idea what numbers of forces are in King’s Landing in the show because it departs so heavily from source material, but at the very least the Tyrells can move tens of thousands of men to the city if they want to (which is exactly what Mace Tyrell does in the books after Margaery is arrested) and if Margaery and Loras were executed it’d be a simple matter of slaughtering anyone connected with the Faith Militant. Having a beloved queen and renowned knight executed on such weak grounds would make it incredibly easy to portray him as a dangerous fanatic (especially since he kind of is). There would be further unrest in King’s Landing and the Riverlands, but neither of those is the seat of Tyrell power. As it is I suspect they’re going to have the Tyrells work with Baelish to assassinate him the same way they killed Joffrey to head the entire thing off and get a chance to get the two out of harms way. “Slaughtering anyone connected with the Faith Militant” and killing off a High Septon who is beloved by the smallfolk isn’t as easy as you seem to think because if Westeros is anything like medieval Europe, the nobility is a thin layer supported by a big layer of the suffering masses, and everyone takes their religion seriously. The show hasn’t done a good job of showing that, concentrating almost exclusively on the thin layer and not working in religion/prayer/penance/street-preachers all the time (the problem is that the showrunners are very secular as is GRRM, though GRRM at least tries to work in religion), but the Faith is already drawing warriors to renounce worldly allegiances. Would the soldiers of Tyrell stay loyal to their lords of this world or the god of all eternity if they have to choose? Plus, I’m surprised that there haven’t been major peasant uprisings yet. In real life Europe, given the conditions, there would be. Oh, and does the Faith of the 7 have excommunication? Because eternal damnation and declaring open season for anyone observant to disobey and kill you and seize your lands was probably the medieval church’s biggest weapon against the powerful.